Aurora continues to be one of our best-selling designs. Rustic Kraft cardstock is used throughout and is combined with hessian, twine and bunting that is fashioned out of floral paper by hand. Decorative pearls are added as a cute finishing touch. 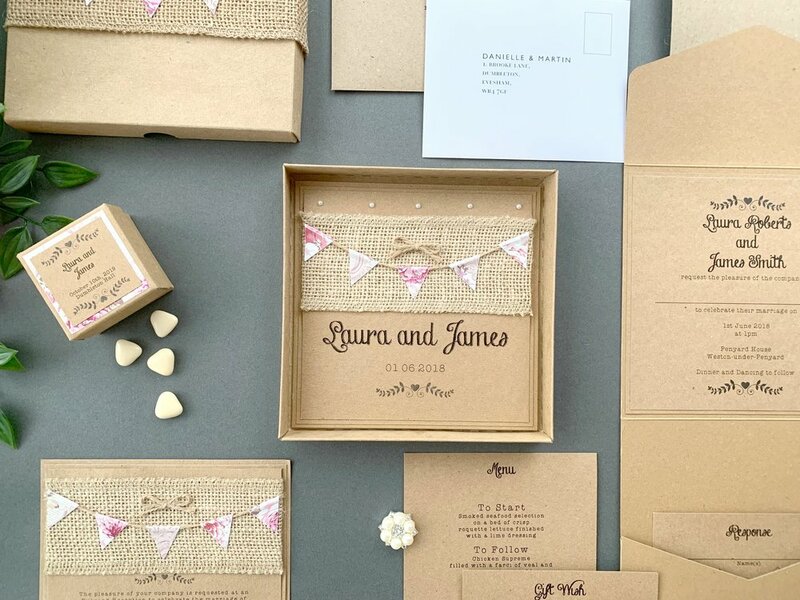 We use vintage typography for the design which, along with the handmade elements, makes Aurora the perfect accompaniment to a rustic, vintage or barn wedding. Our Aurora collection uses layers of rustic Kraft cardstock for its design alongside hessian, twine and floral paper bunting.